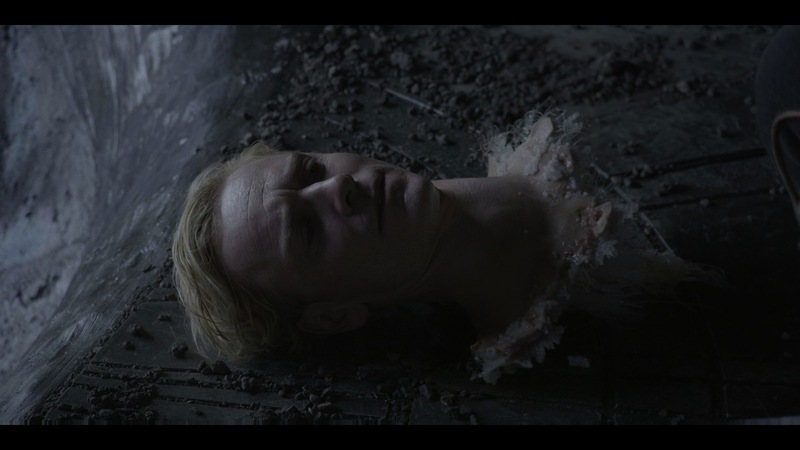 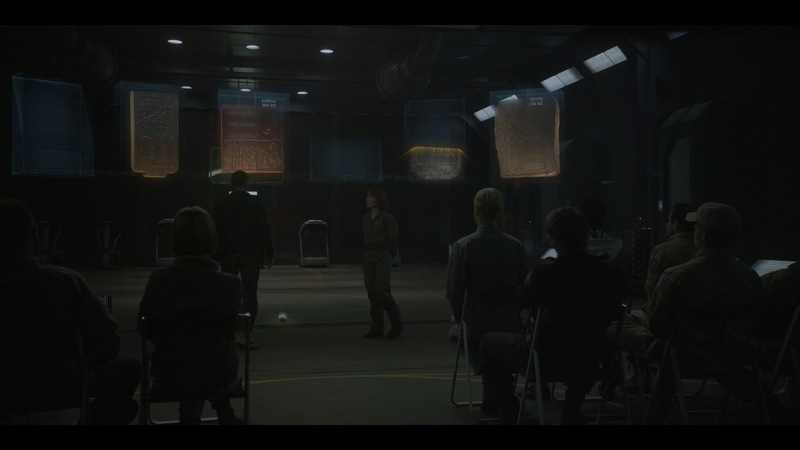 JAMIE DIXON was the VFX Supervisor for HAMMERHEAD on the 100 VFX shots completed for PROMETHEUS. 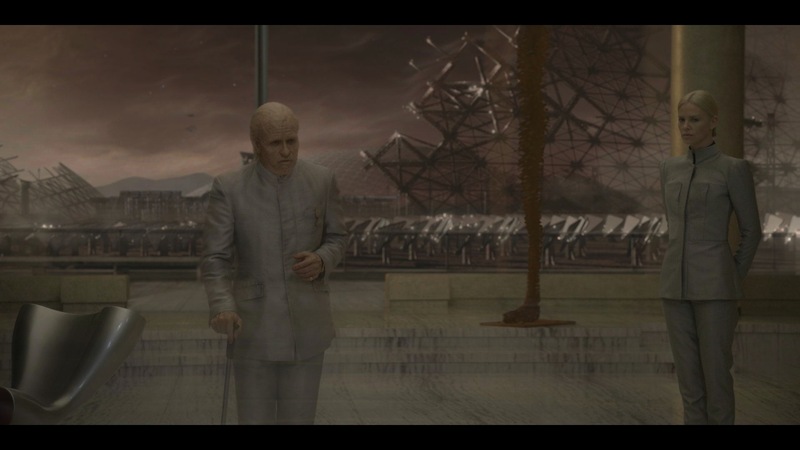 All of the VFX were received, completed and delivered in stereo. 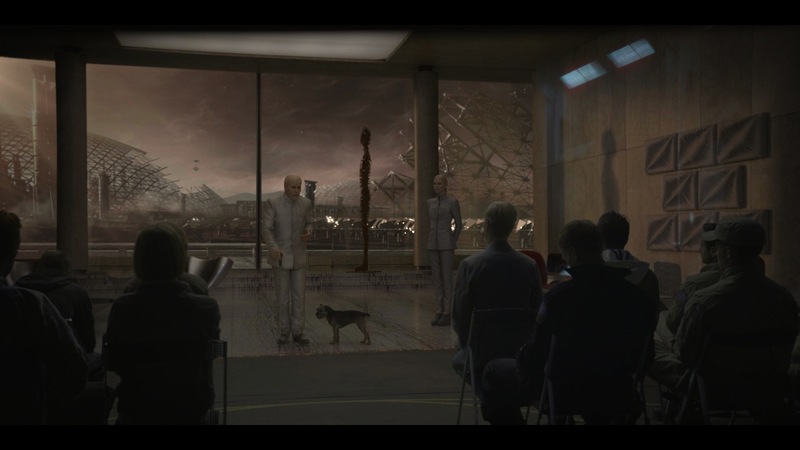 Working with Production VFX Supervisor RICHARD STAMMERS, JAMIE flew to London to oversee the photography of the complex motipn control setup for the Weyland Briefing scene that takes place near the beginning of the film. 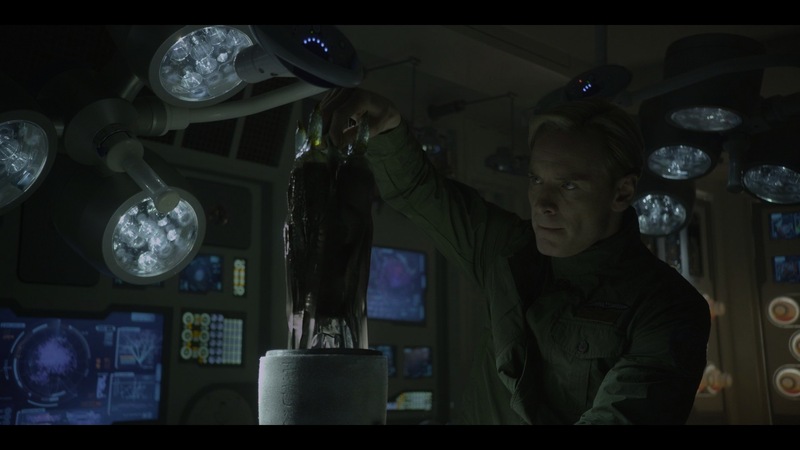 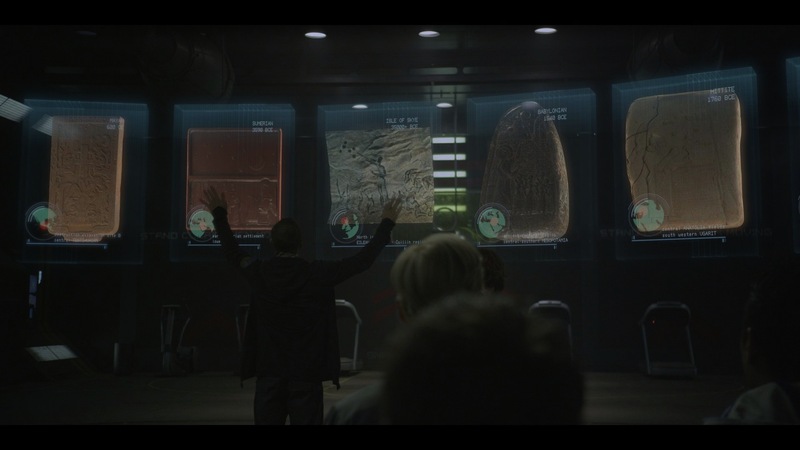 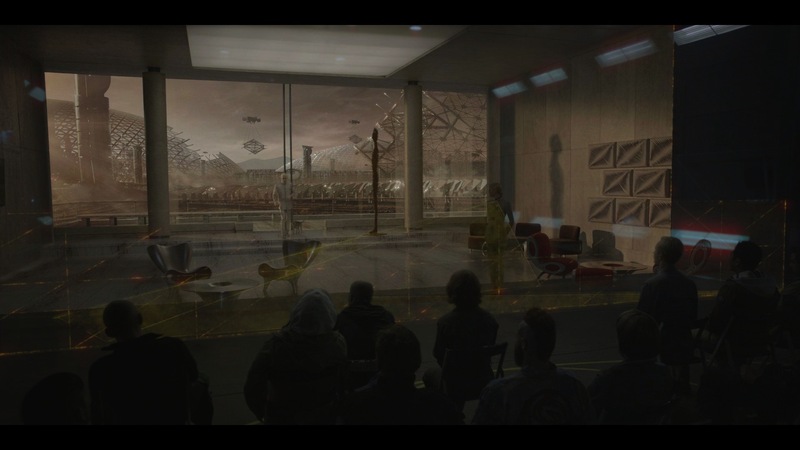 The scene required the reveal of a holographic Peter Weyland and the nature of the mission the PROMETHEUS crew ws embarking upon. 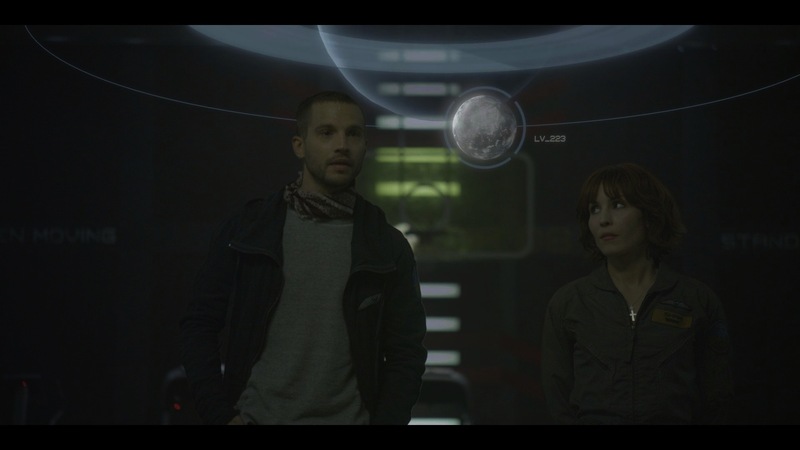 This was followed by a futuristic presentation of evidence by Holloway and Shaw. 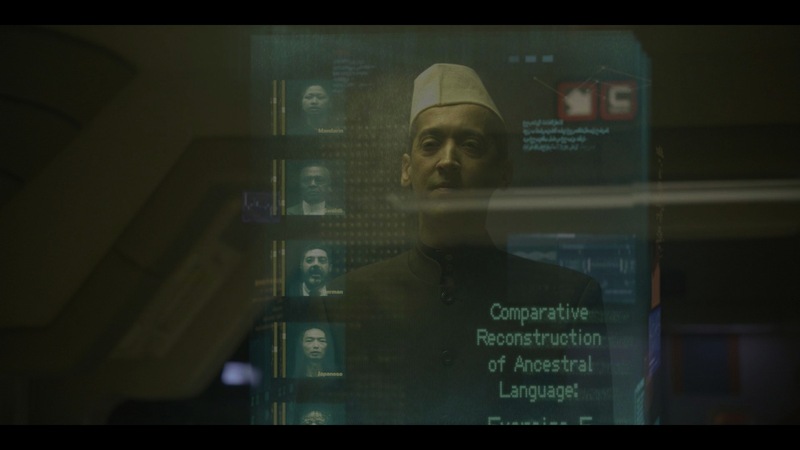 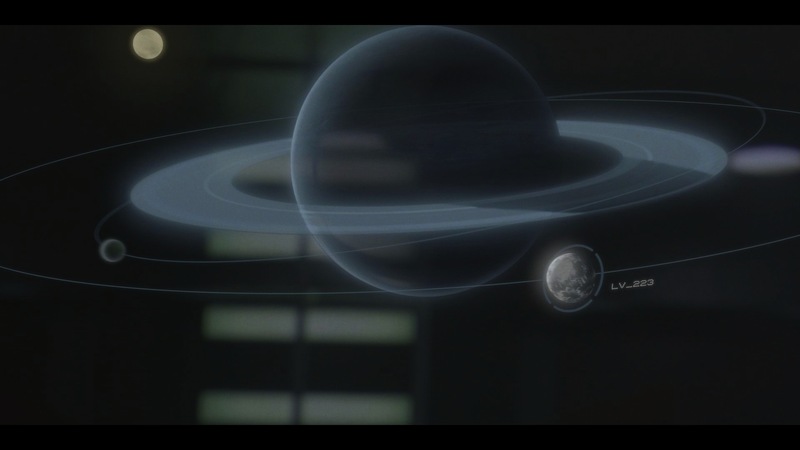 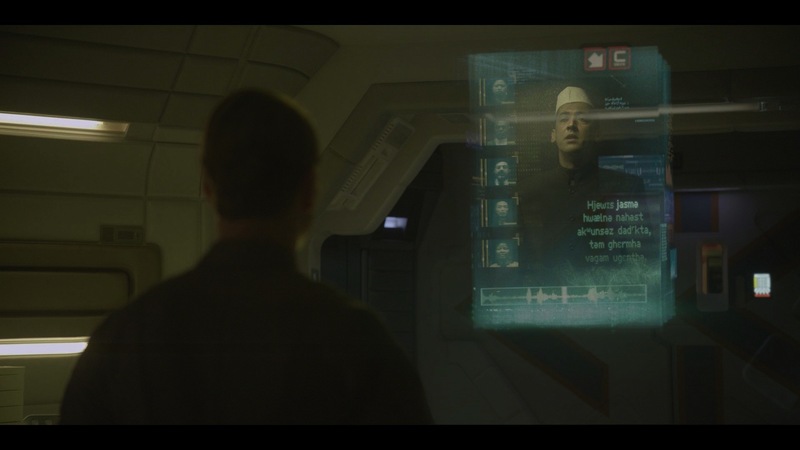 The sequences required HAMMERHEAD to provide R&D, look development, and graphic design as well as element creation and compositing. 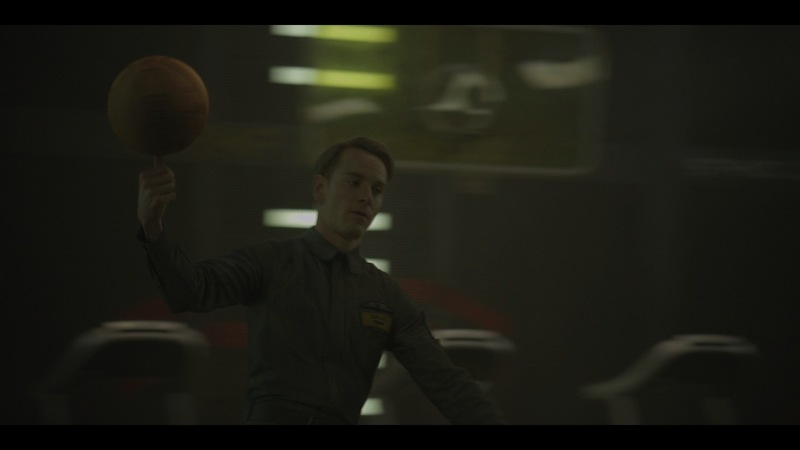 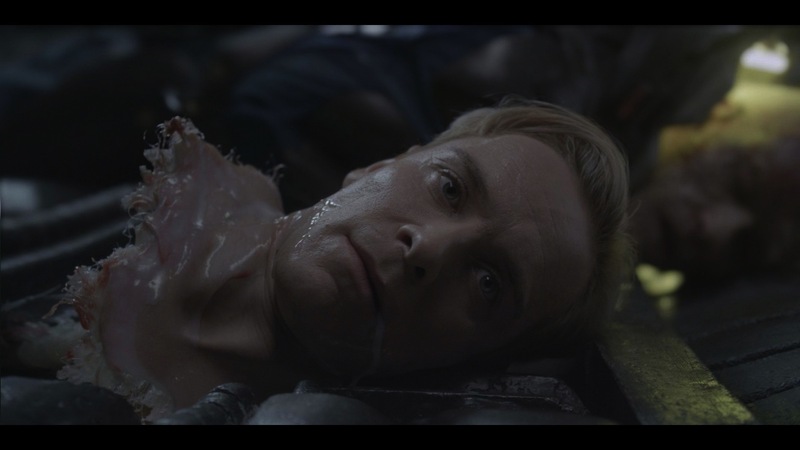 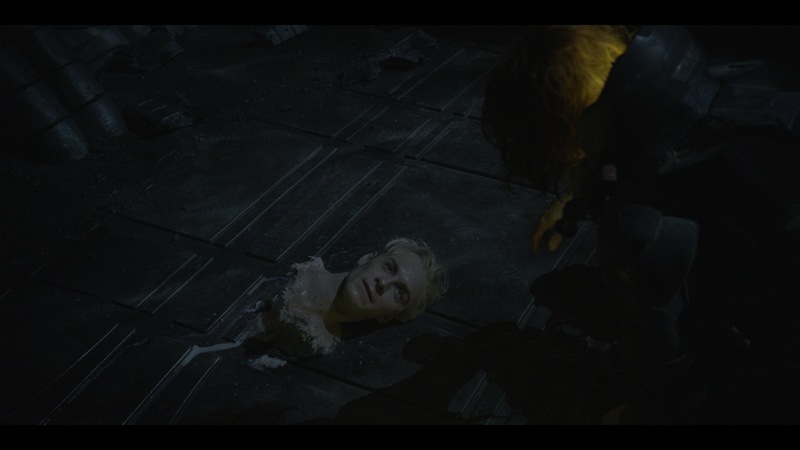 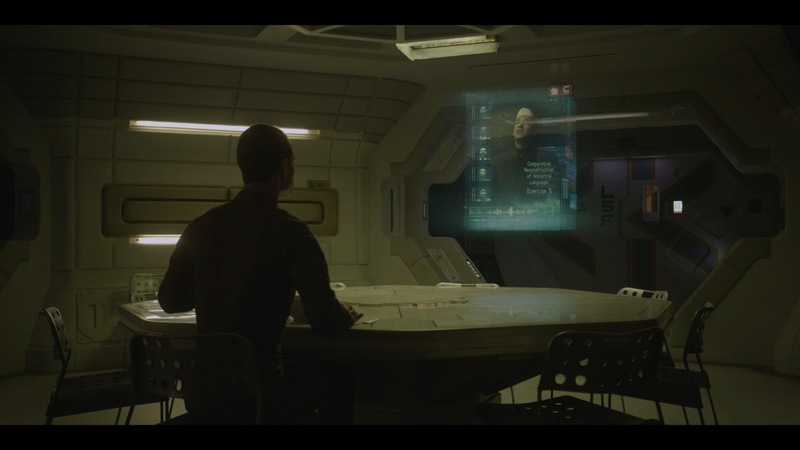 In addition to the pivital Weyland Briefing scene, HAMMERHEAD also provided the VFX for the Linguist lessons David studied during the long space flight, a CG basketball, combining Michael Fassbender's head with a prosthetic neck piece after the Engineer's brutal attack, and numerous other miscellaneous fixes throughout the film.